Her Dam is a Blue Ribbon Champ! 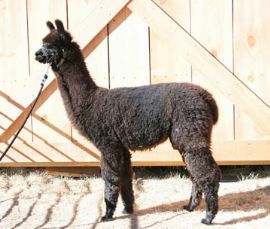 Velvet Mist is a beautiful true black female out of Drambuie and Dom Lucilio bloodlines. She has perfect conformation as well as a wonderful presence. As well bred as Velvet is, she should be a welcome addition to any breeding program looking to add color and the quality traits of her strong heritage.